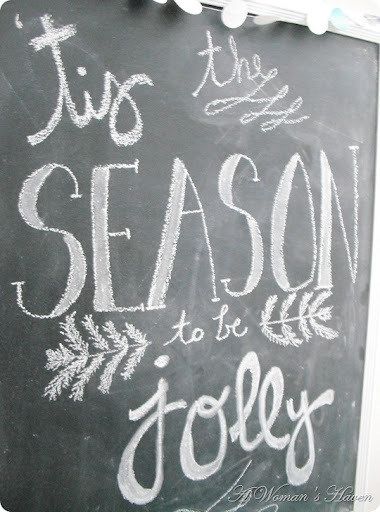 I had fun decorating our new chalkboard for the holiday season! I love how easy it is to change up a chalkboard. Good fun. The garland is very cute too. Thanks for sharing it. 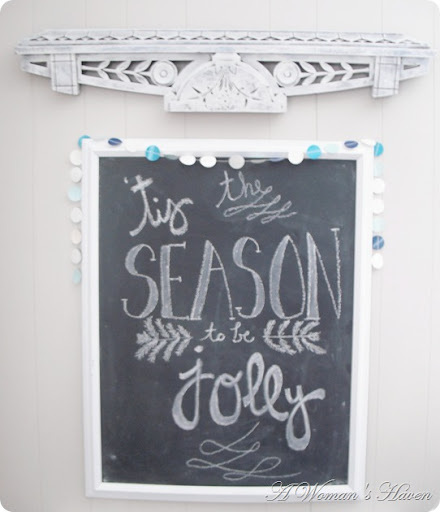 Love your chalkboard quote! You are talented because mine sure wouldn't look that pretty! Looks great! I may end up trying this one! What a beautiful way to decorate for christmas. New to your blog, just about to head off for a look around. Found you on the link up and am now following! The chalkboard is super cute. I love it! I just love chalkboards. You have some very nice chalk writing skills 🙂 I actually made a chalkboard countdown this year. Thanks for sharing! I also love the garland too! Pretty! I love the garland. Perfect touch! So pretty! 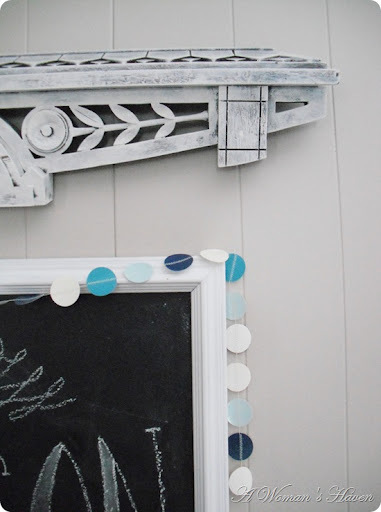 I love the versatility of chalkboards, too… plus they're just so much fun! 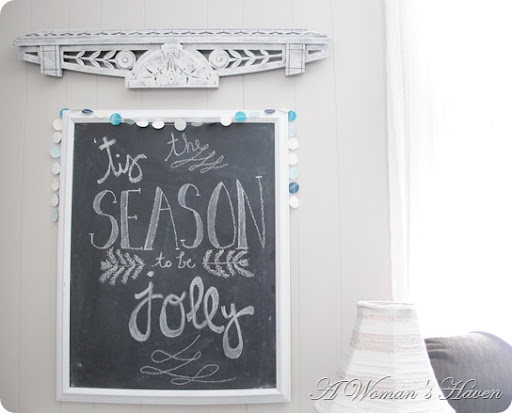 Stopping by from the Winthrop Chronicles and I just love your chalkboard and garland 🙂 New follower … happy Tuesday!